How do I improve my child’s motor skills? I’ve been letting Brooke and Mackenzie loose at the park. They love to pull up on the park benches and strollers (especially ones with dangling new toys that are not ours). They’ll walk along the bench or the stroller to play with toys and each other. Mothers with toddlers who are older but not yet walking have asked me, how come B and M were already cruising at 9 months old? Babies who are held or placed in high chairs/strollers/walkers ALL THE TIME are often severely behind in their gross motor skills for one reason only – they haven’t had enough practice! 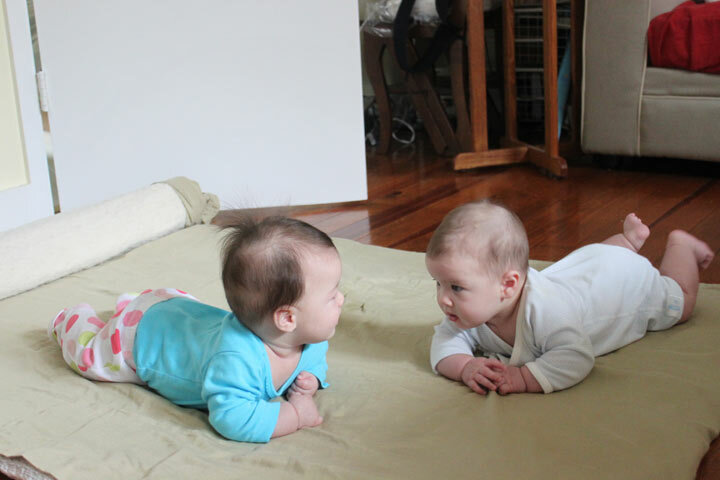 Montessori has the perfect set-up for babies to practice their motor skills. 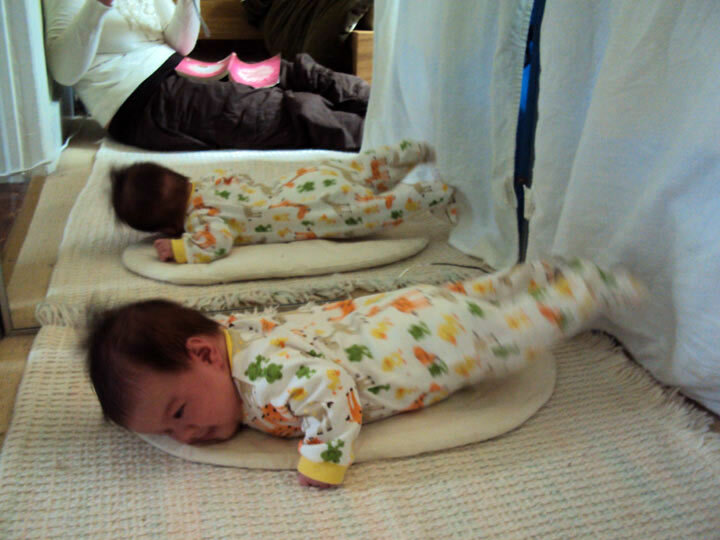 Aside from the floor bed, which gives your baby ample freedom to move, the most important thing you can prepare for your baby is the movement mat, mirror and shelf. The movement mat can be located anywhere in the house, but it needs to be in a consistent place for the baby until he starts to crawl. This is the place where the baby does tummy time while he is awake. This is a time for him to be on his own, without anyone talking or playing with him. Start with a little amount of time and increase that amount of time as he gets older. The general purpose of the mat is to give the child some cushion so he doesn’t bump his head too hard on the floor but at the same time, provides a surface firm enough so he can get some resistance when he pushes against it. If he falls asleep on the mat, move him to his bed. This is not the place to sleep. It’s important that he can make a connection between a place and its function: this place is for sleeping, this place is for moving. Read more about this here. Place a full-length mirror turned on its side along the edge of the mat. The mirror is excellent for developing his cognitive skills. It also lets him see himself and what he is doing. At first, he will think the image in the mirror is a friend, but at some point, he will see you in the mirror and see you outside of the mirror and he will understand, that is a reflection. It’s a profound moment! Watch a video of Brooke playing in the mirror at 5 months old. 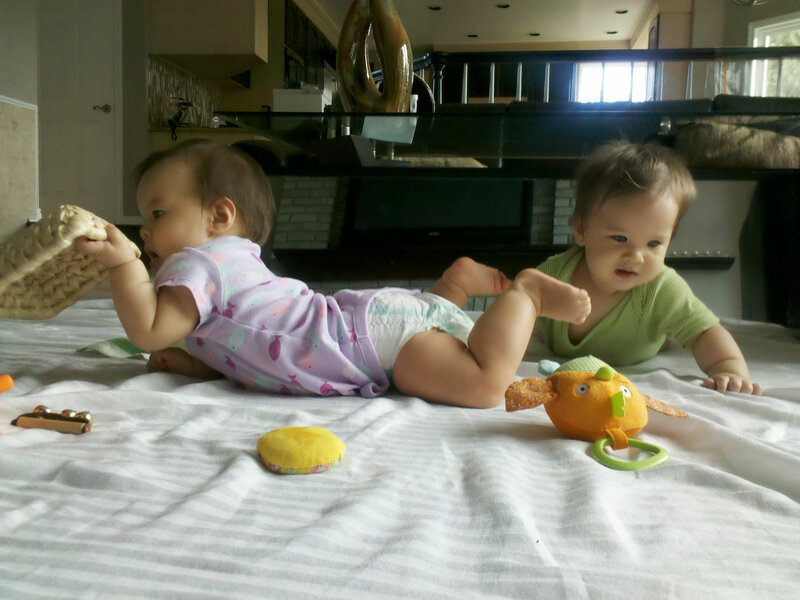 Brooke and Mackenzie at 7 months old. They spend 70% of their waking hours on their floor mat exploring their environment and practicing their gross/fine motor skills. The mirror is behind them. Also, place a low shelf nearby, where the child’s toys and materials can be kept. Before they start pulling up, you can use a wooden shoe shelf. Once they start pulling up, they will love to pull up on this shelf, so make sure you have something sturdy. Toy shelf for our 10 month olds. A 7 month old should have just 4-5 things on the shelf. Younger babies should have 2-3. Always keep the toy shelf orderly, everything has its place. 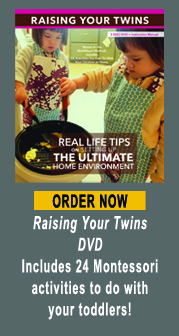 Babies cannot maintain the order, but they crave the order you create for them in the house. 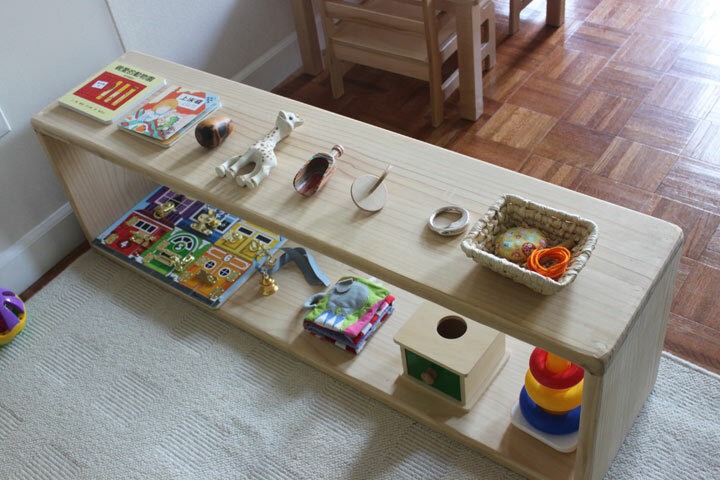 The shelf should contain a few pieces of material that the child is using at the time. These materials need to be applicable for his age. 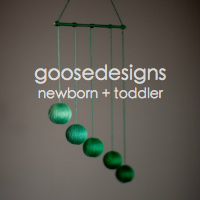 Babies can be easily over-stimulated, so they should not have many things. Little by little, they will slide to the shelf and take what they want to play with. Always keep the toy shelf orderly, everything has its place. 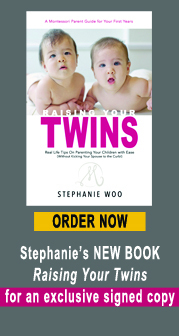 Babies cannot maintain the order, but they crave the order you create for them in the house. Do not put all their toys on the shelf, pick a few that will fit nicely on the shelf, then rotate them weekly.